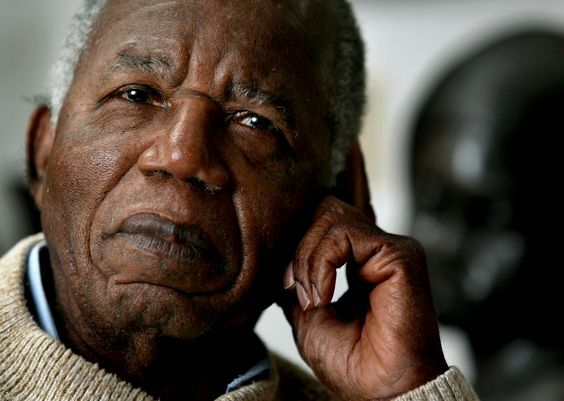 10 quotes from Chinua Achebe's The Trouble With Nigeria. Image: AP / Craig Ruttle via The Atlantic. Achebe, Achebe, Achebe. I have gushed countlessly (okay, maybe twice) about his writing and why it never fails to resonate. One, for his ability to mirror the truth, and unapologetically so. Second, for his storytelling; his hilarious yet sharp-cutting narratives. More than anything, what distinguishes his work is its relevance – from his anti-colonial African Trilogy to A Man Of The People – which permeates several decades. This latter reason, notably, is major thanks to the fixity of Nigeria’s - its leaders and populace - unwillingness to implement radical change to upturn its history. In his infamous booklet written in 1983, The Trouble With Nigeria, Nigeria’s years of political instability feature yet again as a canvas. The author brazenly discusses 10 fundamental areas that “cripple” and “inhibit” Nigeria as a state, people and nation. Achebe pools his varied experience and excerpts from daily newspapers to prove, indeed, that “the only thing [Nigeria] has learnt from experience is that we learn nothing from experience.” Of the numerous quotes favourited, I share 10 that that will leave you snapping your fingers while reading The Trouble With Africa Nigeria. A basic element of [Nigeria’s leadership] misfortune is the absence of political thought of our founding fathers — a tendency to pious materialistic woolliness and self-centred pedestrianism. A true patriot will always demand the highest standards of his country and accept nothing but the best for and from his people. ...you have told us that you want our votes so that you can serve us. If we get killed while you are getting the vote, who then will you serve? Have you read Achebe's The Trouble With Nigeria? What are your favourite quotes?